Obituary for James "Jimmy" E. Day | Campfield Hickman Collier Funeral Home, Inc.
James “Jimmy” E. Day, 76, passed away Friday, November 30, 2018.A life resident of the Akron area. Jimmy was a U.S. Army veteran and retired from Automated Packaging with 37 years of service. 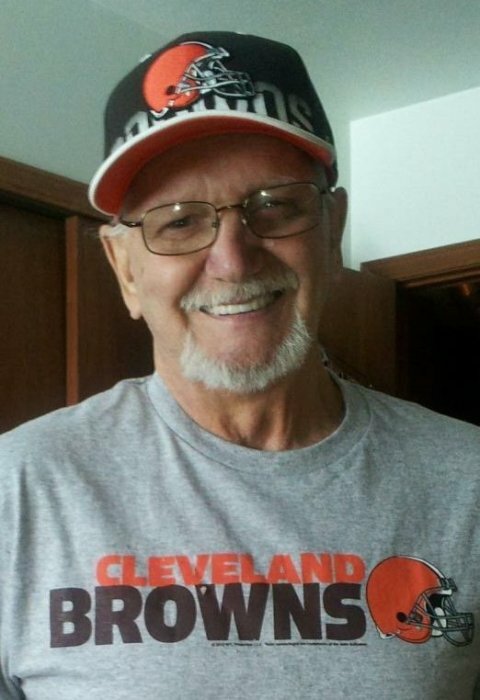 He was a member of VFW Post #1062, Cuyahoga Falls American Legion and was an avid pool player.Preceded in death by his parents, Chick and Rene and first wife, Connie. Jimmy is survived by his wife, Jan; children, Jimmy (Sherry), Tobie, Jeff (Jenny), Mike, Becca (Rick) Hartzell; stepchildren, Marcel Brazelton (Doug Crocker), Jimmy Wagner, Joe (Cindy) Wagner, Mike Orndorff, Mark Orndorff, Dovie (Carla) Orndorff, Jerry Stormer (Phil Luks); 12 grandchildren; many step-grandchildren; four great-grandchildren; brother, Mike (Mary Lou); along with other relatives and friends and his faithful companion, “Buddy”.A memorial will be held Saturday, December 8th at 1 p.m. at the Campfield-Hickman-Collier Funeral Home, 566 W. Park Ave., Barberton. Followed by a Celebration of Life, at the Barberton Moose, 250 31st St. N.W., Barberton 44203.